Hi there strangers, I've neglected my little world of LBB in 2018, I'm sorry! 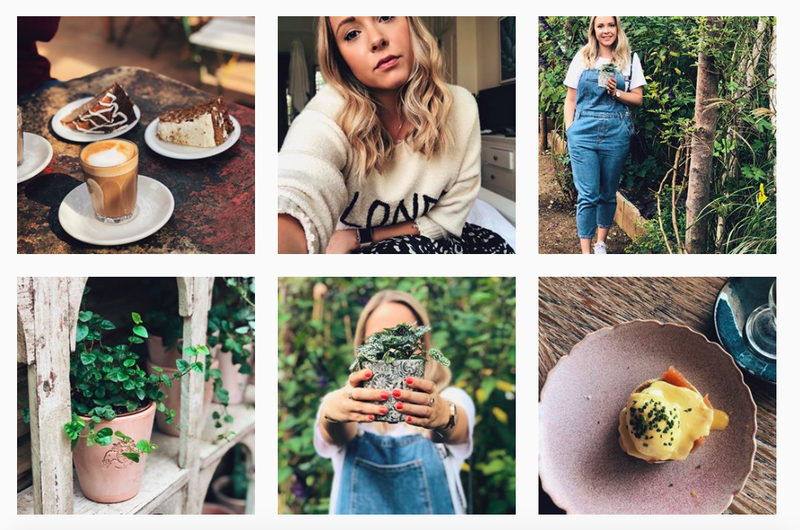 In December I've been working away and writing up posts for 2019 so that this year I have no excuse about being busy. As I've not been here for so long, I thought I would start the year off with a little catch up on what I've been up to last year, and a toast to 2019! Let's start with what is probably the reason I ended up feeling so out of whack at the beginning of last year and wasn't interested or inspired at all. In March I woke up to one of the most painful 'headaches' I've ever had. I often get migraines but this one was odd as it woke me up in the middle of the night and Rob had to call 111 as the pain was making me sick. The next day I went to the Drs and they booked me in for an MRI, a week went past and I got the results. They found what I now call as Mr Bean in my brain. At this point they didn't know what it was (and still don't) so I had what felt like the most stressful and worrying two weeks of my life where they had sent my MRI off to check if it was cancer. It isn't, but let me tell you, 2 weeks thinking you have brain cancer is not fun. The two week wait with the NHS for cancer is great as lots of things take much longer than that, but 2 weeks of thinking you can feel the cancer spreading in your brain, that ain't fun. Anyway, to cut a long story short, after multiple MRIs, lots of headaches (probably linked to the stress and nothing to do with Mr Bean), they came to the conclusion it is odd but probably just a developmental defect (nice, huh) in my brain but I should keep an eye on it every 6 months from now on to see if anything changes. Up until August time I would say it was on my mind every day, but now, I push it to the back of my mind and will only think about Mr Bean when I need to book my next MRI. During all that, in April we moved house! Our old landlord gave our flat to his son so we had a frantic few weeks on Rightmove but eventually found our flat which happens to be only a few doors down from the old one. We enlisted the help of our friends and spent the day (one of the hottest) carrying sofas and furniture down the street. This new flat is the dream, its solid wooden floors throughout, huge rooms with high ceilings and lovely windows on both sides of the property (they are single glazed but so far we've been ok in the cold, the heating thankfully works in this flat!) and we've totally made it our own. It is now my favourite thing to come home, snuggle on the sofa with my hundreds of blankets and watch tv/youtube videos. Its 100% my happy place. We've bought a few new pieces too so I will be doing a few interior posts this year which is what I really love right now. In June we spent a long weekend in Barcelona and wow it is beautiful! (Note to self, must travel to more European cities) We had beautiful weather, and explored absolutely everywhere on foot. From the beach to Park Guell (which by the way is so so so beautiful) to La Sagrada Familia. My sister chose her wedding dress! Just after Barcelona, Hannah (one of my sisters) chose her wedding dress! We took a girly trip to Grace Loves Lace, an Australian bridal brand, in Shoreditch and had the most magical day. With being the first out of us 5 sisters to get engaged it was so so special, she even made mummy cry when she tried on The One. I absolutely cannot wait to be her bridesmaid this year, it's going to be incredible. In July I finally got a new job! I had been on the hunt for such a long time so was starting to lose hope, but it has been so good starting fresh. I am now HR Advisor in a bank in the city, and am absolutely loving it. Aside from learning so much, I also get to live my dream of wearing heels every day and working in The City in London- it's the little things! THIS is why we moved to London! Rob and I have been totally making the most of living in London and having weekday nights at gigs. We've seen: Tom Grennan (twice), Mabel, Lily Moore (three times), Grace Carter (twice), Ed Sheeran, Bruno Mars, Plested, Jorja Smith (twice), Lewis Capaldi, Jade Bird and Anne Marie! Woah, thats 16!!! It has definitely been the best year for discovering new music, hopefully next year will be the same. Finally, out of the big things in 2018, my friends Lorna & James got married in the most beautiful venue, with the most beautiful theme, on the most perfect day (can you tell I bloomin loved it!?). Lorna & James are friends from uni, so it was also a Geography reunion so it really was the best day. I also went to Lorna's hen-do where we drank far too much prossecco and attempted to learn the dance for 'Spice up your life' in far too fragile states, especially the bride! Next year we have 2 more weddings, it's clearly that time of our lives! So, a lot has changed in 2018 overall, there have been ups and downs but overall I've had one of the most fun, exciting, and busy years of my life and I couldn't be happier with where I am right now. Moving to London was one of the best decisions Rob & I have made and I wouldn't change it for the world. Here's to 2019 being even busier!